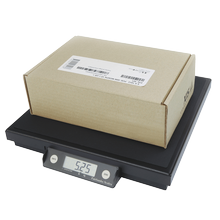 Digital shipping scales that are NTEP approved (except the Ultegra Jr.) making them legal for trade and the weighing of retail packages and parcels. 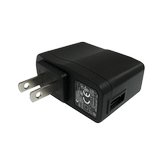 All Ultegra models utilize a USB connection for power and USB output to integrate with nearly any shipping software, including Plug-n-Play with UPS WorldShip®. 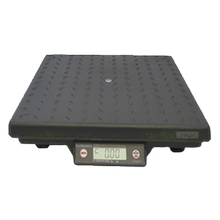 Our 150lb capacity digital shipping scale, reliable and easy to integrate into your shipping system. 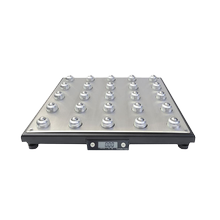 Our 150lb capacity digital scale with an added roller top for easy package movement without lifting. 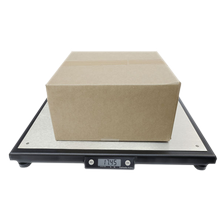 Our 250lb capacity digital scale for larger items, while just as reliable and easy to integrate into your shipping system. 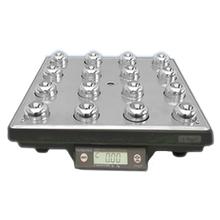 Our 250lb capacity digital scale with an added roller top for easy package movement without lifting. Easily mount a remote display to any flat surface that will take two screws. 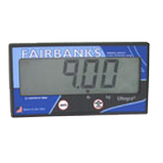 Integrate your Ultegra scale into your retail environment for a better customer experience.